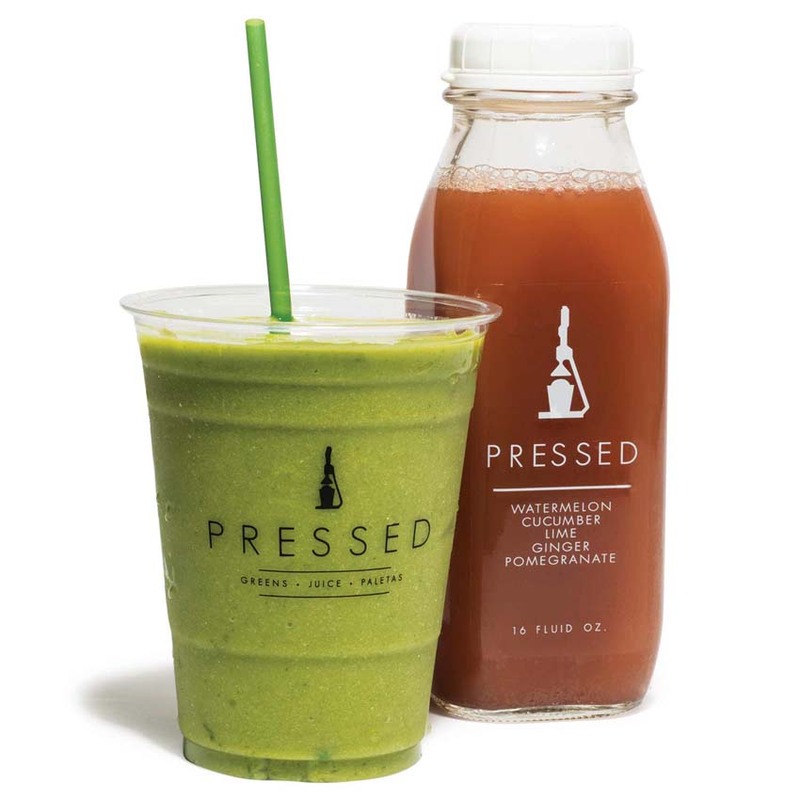 The menu at Pressed was partially created by acclaimed New York-based chef Joya Carlton, known as a wizard of vegan cuisine. The mostly locally sourced and organic offerings—made entirely in-house—include cold-pressed juices, of course; paletas (gourmet popsicles); sandwiches like the “Smoked ELT” (smoky marinated-eggplant “bacon,” tomato, mixed greens, and basil mayo on seven-grain bread); and smoothies (called “superfood shakes”). Try the “Charge,” a concoction made with raw cacao, almond butter, cold-brewed coffee, and almond milk. It’s so good, we ordered two.